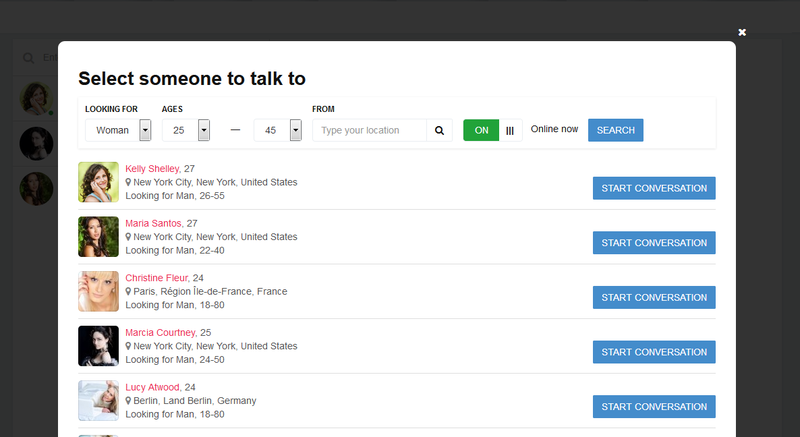 Messaging Centre is a great way to let your site members communicate directly on your dating website. 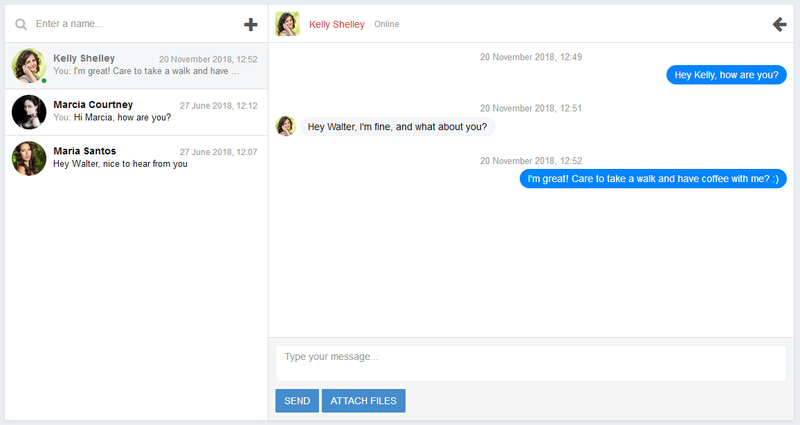 The Messaging Centre is a great way to let your site members communicate directly on your dating website. 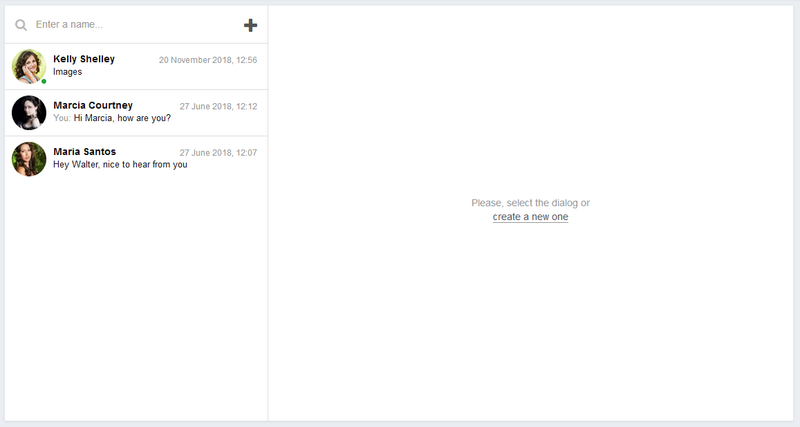 Opening on its own page, it combines the features of both the mailbox and the one-on-one instant messenger. 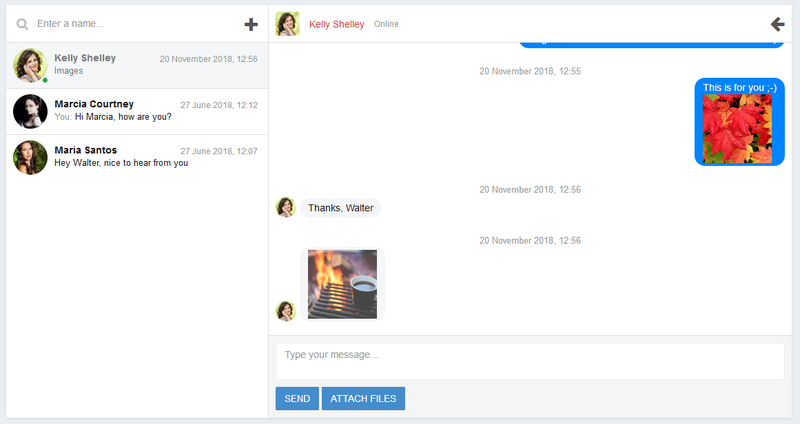 In the standard configuration, there are no limits as to the number of dialogues and the number of messages within dialogues, but you can have them added as an extra feature and make it a premium service. Your site members will also be able to exchange pictures freely. You can have the audio and video added extra as well. Please also take a look at some of the other available options: integrations with Giphy, smileys, GIFs exchange. 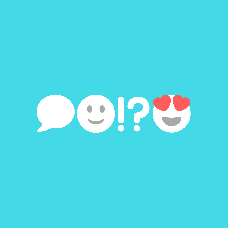 Let us know if you're interested in adding the Messaging Centre to your dating site!